- Will 'What's In Your Wallet?' Become 'Who's In Your Stomach?' WARNING - GRAPHIC! The story released on February 14th of 2017 by the Smithsonian Magazine was called "Fall In Love With Cannibalism This Valentine's Day" within which they report "Pair your red wine and chocolate hearts with another delicious accompaniment: cannibalism, in the form of a new book". While not even close to what we'd give or want as a present on Valentines Day, the Smithsonian story is just another sign that we're being 'programmed' for dark times ahead. As we hear from Millie Weaver from Infowars in the 2nd video below, a new TV show on Netflix called "The Santa Clarita Diet" is just the latest example of cannibalism being thrown in our faces by Hollywood. Millie discusses how the new show not only blatantly promotes cannibalism but promotes the killing of white males and the desensitizing of violence towards conservatives as well. She also brings up 'The Cannibal Club', a restaurant that claims to cater to "LA's cultural elite" though at this moment, we've been unable to prove that such a restaurant even really exists. Though they have a website with not only a menu but a contact page for those wishing to take part in their 'dark affairs', they've not yet answered our questions for this story. And while some will claim that the 'Cannibal Club' is a massive hoax, it's very clear that by paying attention to everything else now going around the world as detailed below, things might not be that clear cut as they seem to them. After looking at recent news stories from all across the internet over the past several days, it's very easy to see why Steve Quayle warns in his new Q-Cast (1st video below) that we'd better get prepared for trouble in our future. Quayle warns us all of the cards are lined up for any number of different possible catastrophes with the globalists still pushing 'economic collapse' which could lead to mass chaos and civil unrest on US streets while a very real possibility exists 'enemies of America within' will push civil war in our country that could be triggered by 'one huge event'. Overcrowding and drought could see humans turn to cannibalism on an epic scale, according to a top historian. Famine and overpopulation in the poorest countries in the world could spark a new era of humans feasting on each other, warns Bill Schutt, a biology professor and research associate at the American Natural Museum of History. Though Schutt will call this 'perfectly natural history', the Bible tells us otherwise. When Israel sinned against God, as the US is doing now, they turned to cannibalism as referenced in Micah 3:1-8 and Jeremiah 19:8-10. 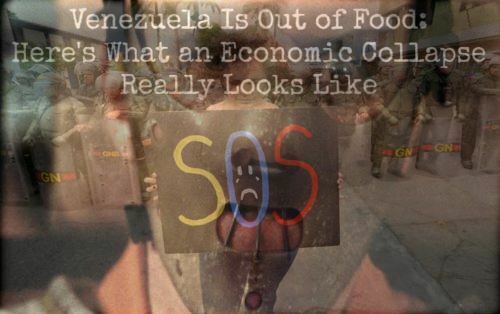 For those who believe such a situation could never unfold in 2017, all we need to do is take a look at present day Venezuela and Thomas Dishaw's new story in which he recently asked if Venezuelan's will resort to cannibalism if they can't find food, an increasingly difficult task in that country in 2017. As Tyler Durden over at Zero Hedge reported back on October 18th of 2016, the formerly 'social utopia' had ARLEADY devolved into 'Silence of the Lambs' within their massively overcrowded prison systems. As Breitbart reported then, the Venezuelan government did nothing when a notorious cannibal killed and ate fellow prisoners, and forced other prisoners to eat human flesh as well or become his next meal. Are we now witnessing the proverbial 'tip of the cannibal iceberg'? The fact that 'hellywood' is seemingly attempting to 'normalize' cannibalism, making it 'chic' with one cannibalism show after another coming out on Netflix or the big screen while politics and 'modern leftist art' dabbles in cannibalism point us in the direction we'd rather not take. With Netflix giving us another reason to drop them after the "Dear White People" fiasco with Drew Barrymore's new Netflix show "The Santa Clarita Diet", we have 100% proof they're making a very real attempt to turn cannibalism into comedy. 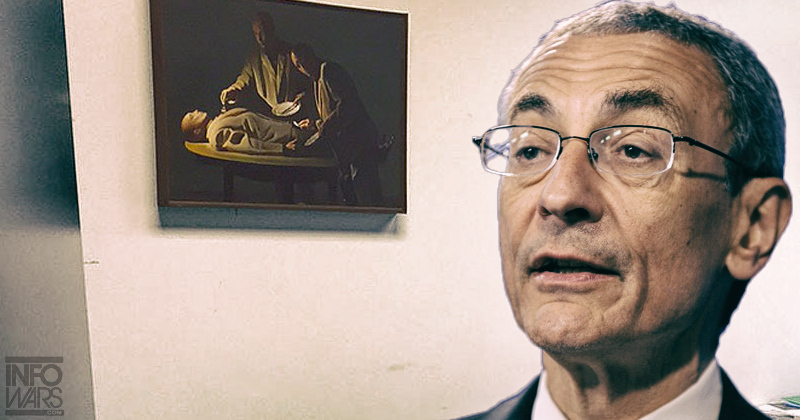 With more recent proven examples coming to us from the world of politics and art being the cannibalism painting hanging on John Podesta's wall and Infowars reporting "Podesta’s painting is incredibly similar to one of Abramović’s art displays in which she and pop star Lady Gaga eat off of a mock bloodied body," it's easy to see that some very sick people are making an attempt to turn what they call 'the final taboo' into 'the next big thing'. Is society now being 'preconditioned' to the possibilities we might witness during a future collapse, a time ahead where America, like Venezuela now, has reached the 'point of no return'? As we've reported time and again on ANP, in Venezuela the people are now hunting down dogs in the streets and zoo animals in the zoos to stay alive. And as the ill-fated Uruguayan airline flight 571 proveD to us, in such a dire situation, people will do anything to stay alive. As was also represented by the Donner Party back in 1846 and 1847, we see that even US history has rare documented cases of Americans using cannibalism simply to ensure their continued existence. As Steve Quayle mentioned to us, in the future we might one day reach the point in time where the question being asked by hungry strangers won't be "What's in your wallet?" but "Who's in your stomach?" Watching what is unfolding not only in Venezuela but here in America with 'hellywood' and the globalists pushing cannibalism makes it very easy to kick our prepping into high gear in 2017. Back on December 16th of 2015, Susan Duclos reported in a story on ANP that Islamic cannibalism had long been hidden from the public and that cannibalism and the associated disease 'kuru' were signs of the 'end times'. On February 2nd of 2016 Susan reported that 'strange cannibalistic attacks' were increasing in America and around the world, sometimes being associated with the usage of 'bath salts' and other 'designer drugs'. 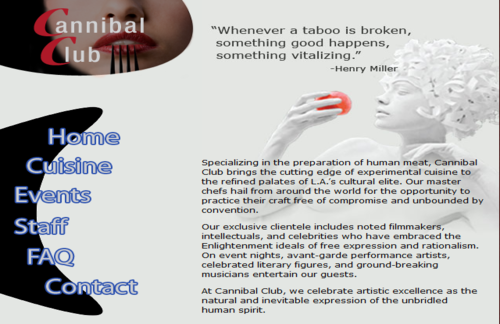 On May 18th she reported that flesh-eating cannibals had become the rage at the Cannes Film Festival. Even the Hollywood Reporter put out a story then asking "What's Up With All The Cannibal Movies?" Hillary Clinton's frequent witch coven trips, Hillary's strange constant changing appearance, her well documented difficulty in walking, coughing fits, and other noted strange behaviors, we have to wonder if the Parkinson symptoms noted by prominent doctors is, could actually be a brain disease known as Kuru. 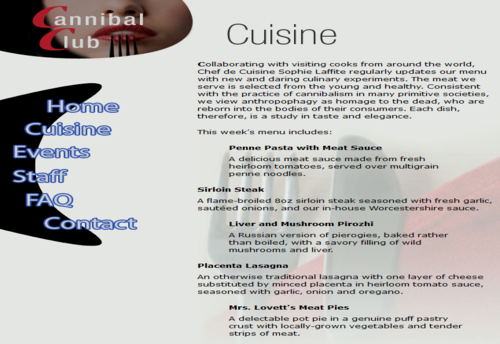 Are we being changed at a genetic level to acquire the taste or appetite for human flesh? As America and the world move closer and closer to 'complete collapse', we're not the least bit surprised that Hollywood and the universities are pushing cannibalism. With hunger expected to continue to rise all across the world according to a recent study, we can take a look at how other massive problems are being handled now to get a taste of how such problems may be handled in the future. 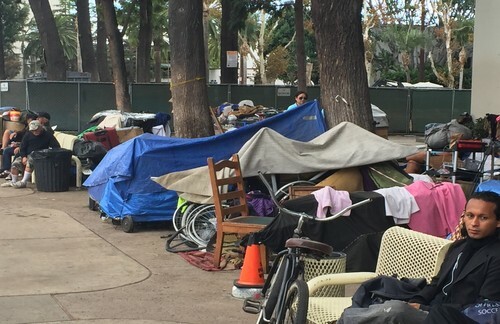 The new story over at SHTFPlan reports that the city of Santa Ana, California has come up with a novel new way to deal with their homeless problem - they've erected a prison surrounding them. As if straight from the movie 'Escape From New York', 75 to 100 people have been 'penned in' along with their belongings, cut off from food, water, and medical care. While America has provided a huge safety net for many, far too many more have fallen through and while we're not fans of 'institutionalized welfare', what happens if economic expert Jim Rogers is correct when he warned of massive chaos and collapse ahead, where things, people and institutions simply 'disappear'? What's happening to 75 to 100 people in Santa Ana could quickly turn into an 'Escape From New York' scenario in America if total collapse happens or tyranny completely takes over our nation. And while we give thanks to the Amazing Grace of God that the huge majority of us here in America are safe from having to turn to cannibalism just to survive, the fact that Hollywood is increasingly attempting to normalize it while politicians and the 'rich' are clearly 'dabbling in it' while Venezuela is already experiencing it should be warning enough to anyone paying attention to unfolding events. For those who may have missed it, in the final video below we hear from Steve Quayle once again in his Q-Cast called "Cannibal Apocalypse - It Doesn't Get Any Stranger Than This" within which he talks with us about how all of these signs we're now witnessing are clearly manifesting upon the Earth as "signs of the end of the age".